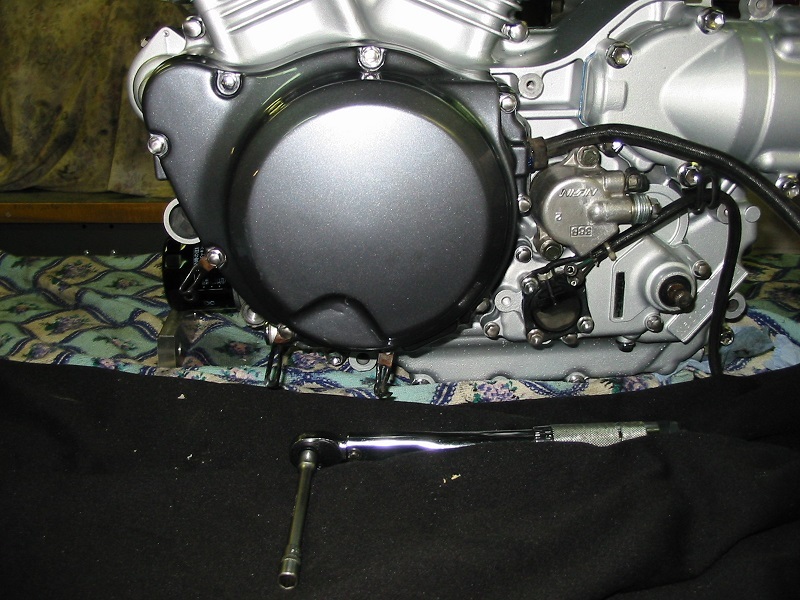 Our “blaster” helps to clean up corroded small parts from a motorcycle, etc. 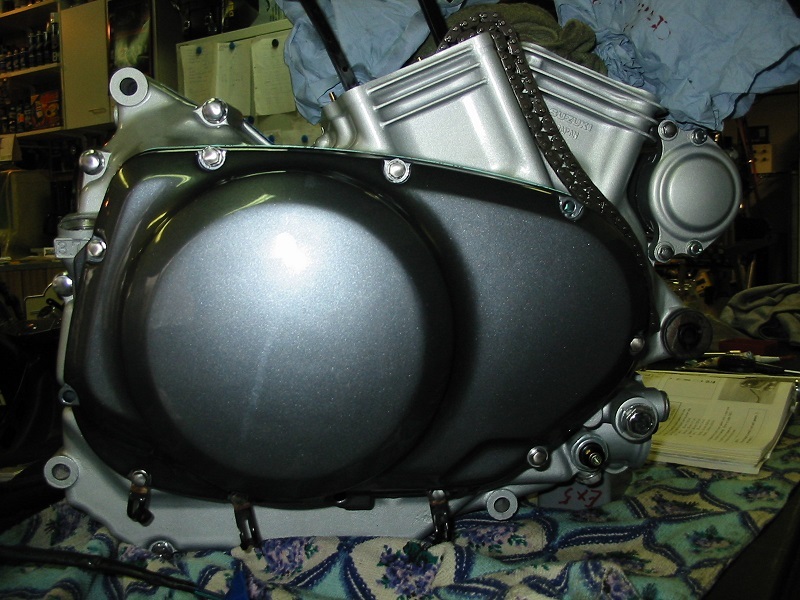 returning them to almost new condition. 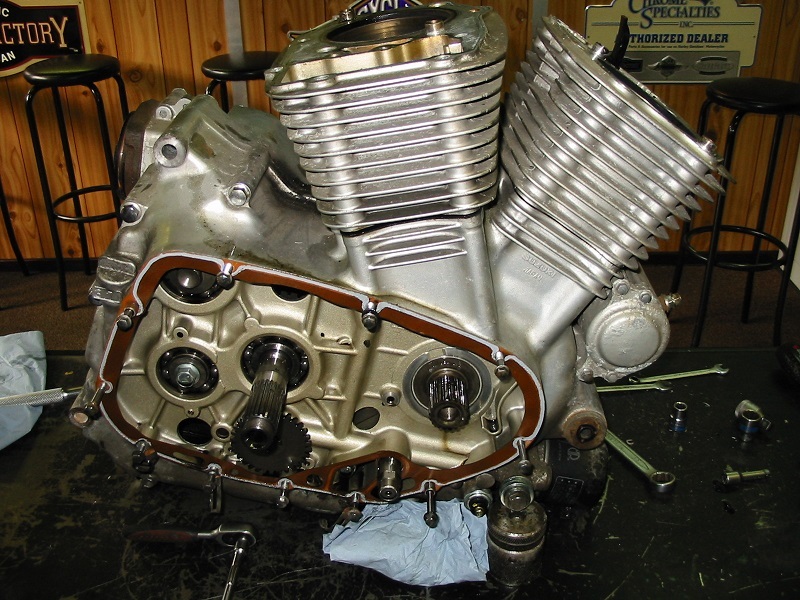 It makes the difference between a good-looking old motorcycle and one that has been neglected during years of use. 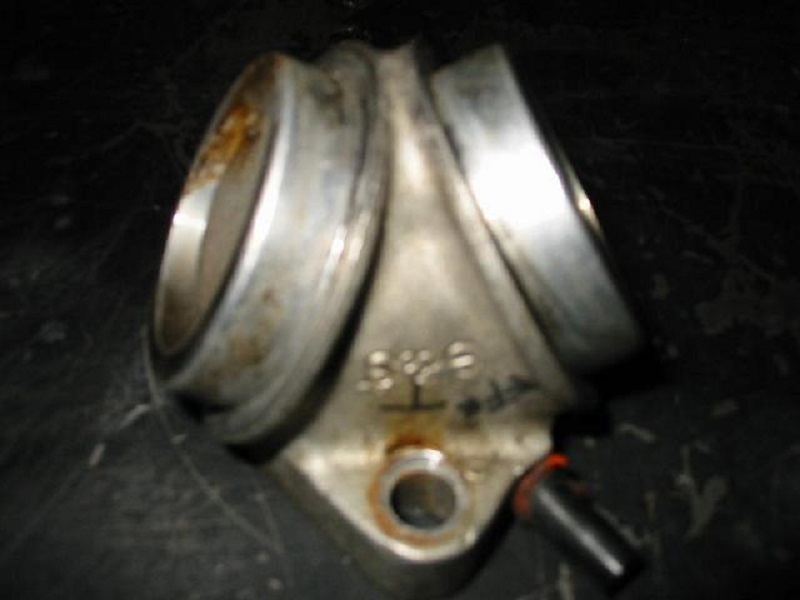 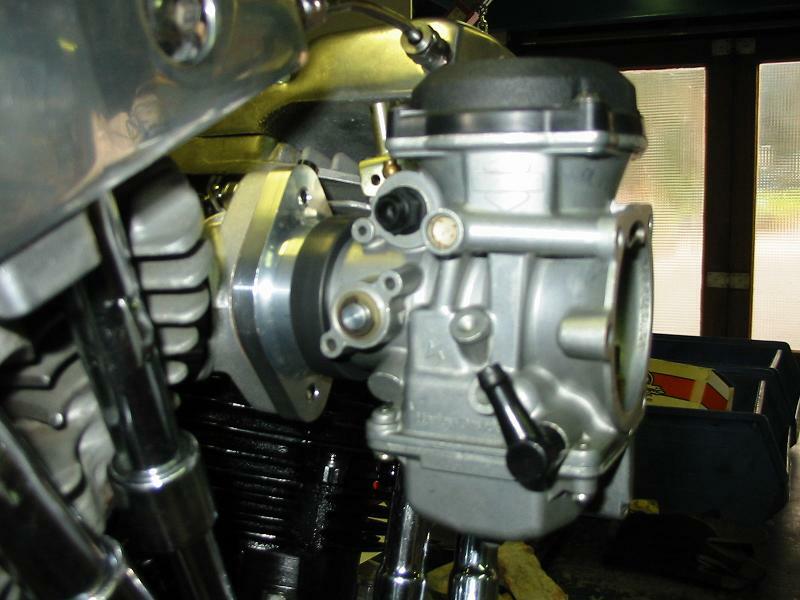 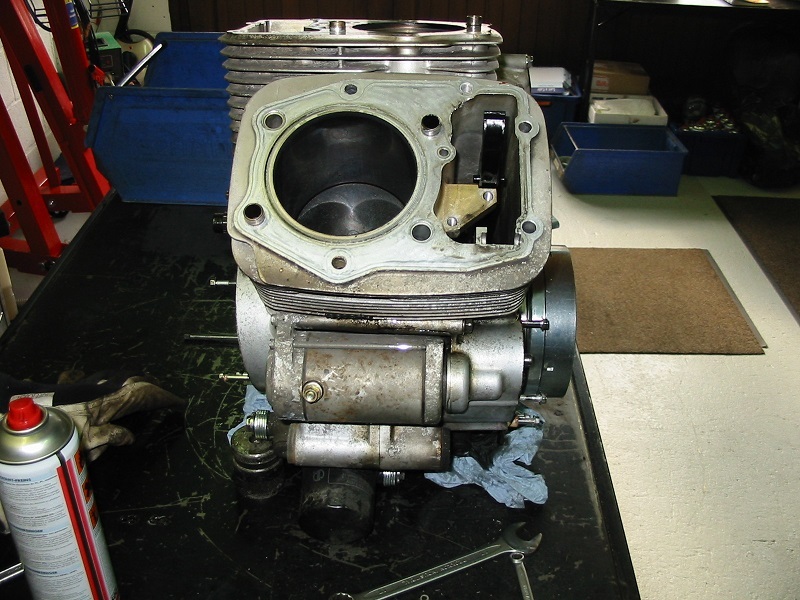 The first example shows a carb manifold from an old Harley, before and after. 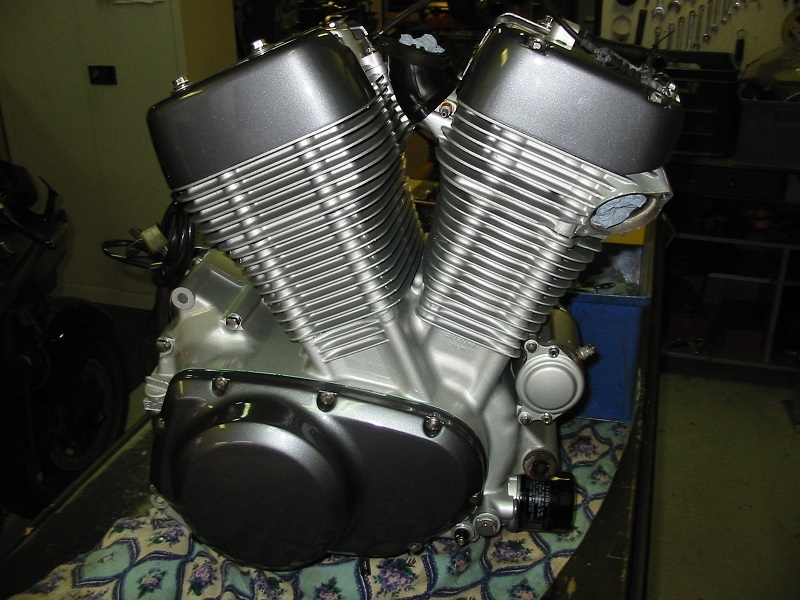 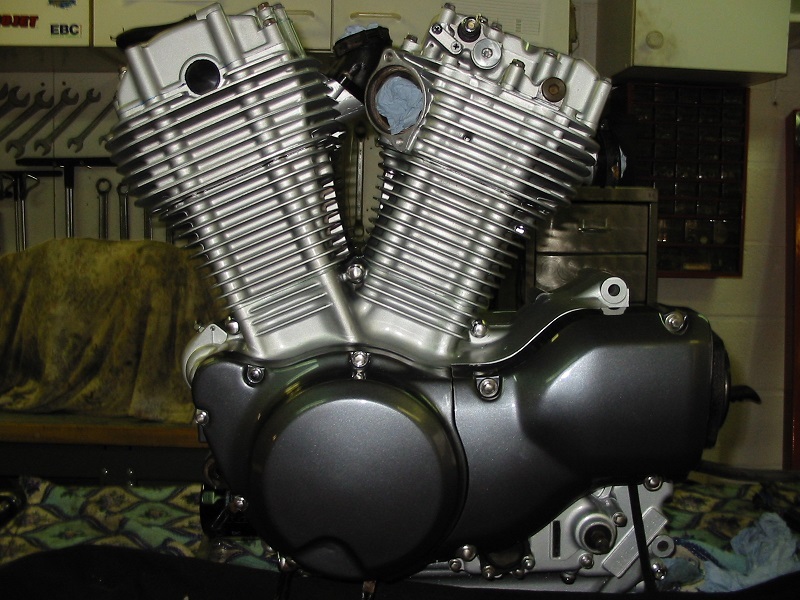 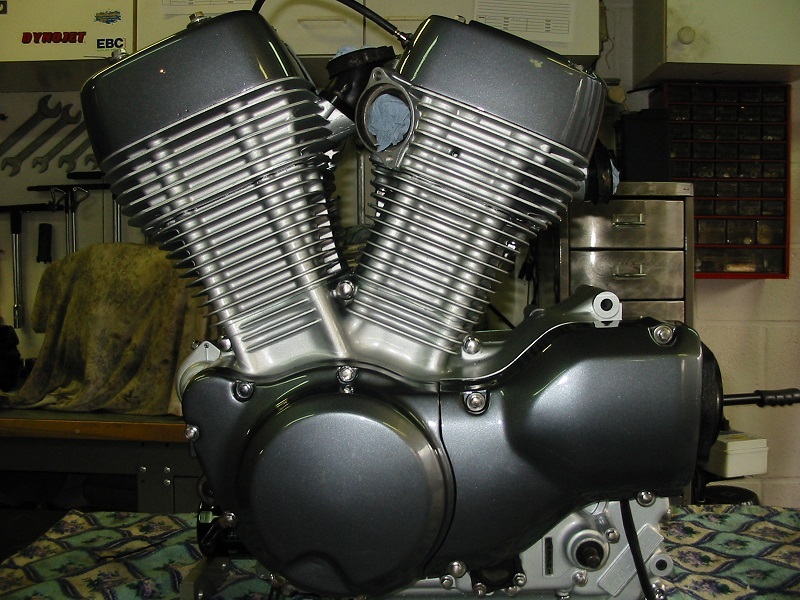 The second example shows how a Suzuki VS 1400 from 1994 engine was given a new look. 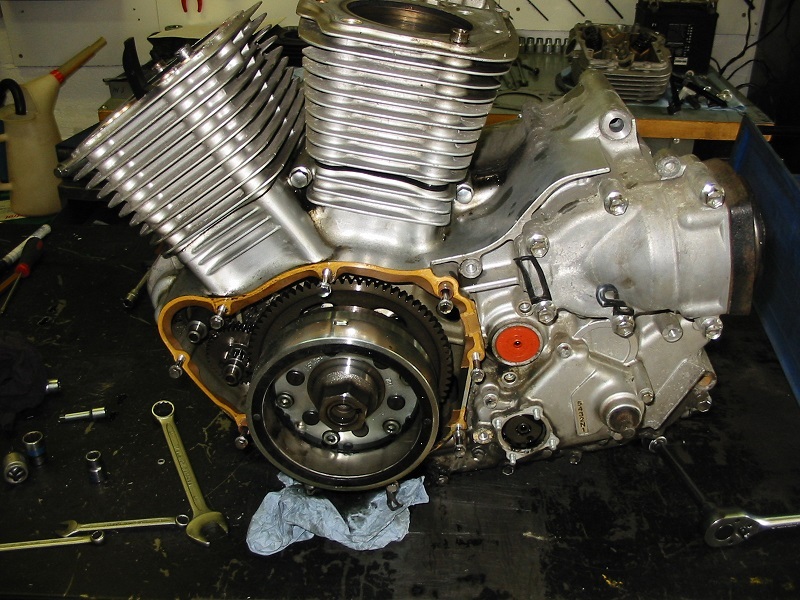 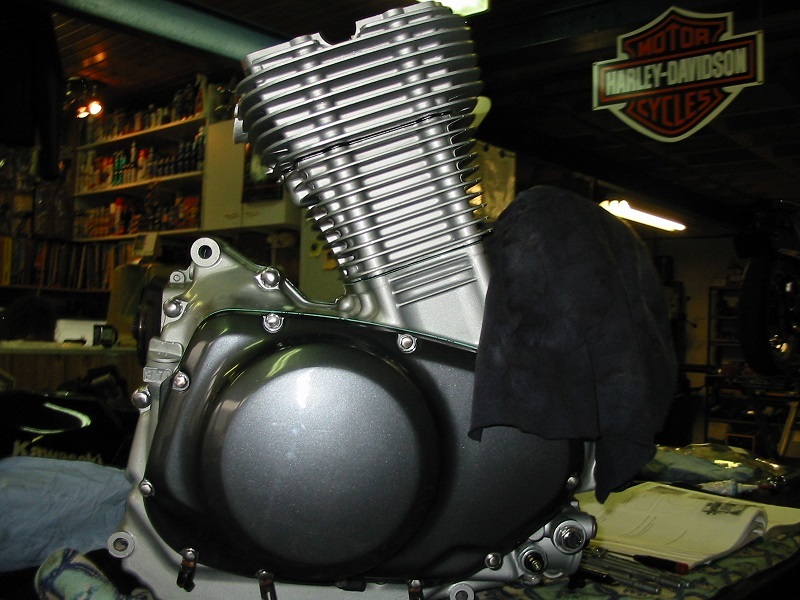 A client brought in his bike's engine and wanted us to take it apart completely, giving the mechanics a complete check-up, doing any necessary repairs, and to get the the outside ready for finishing it off with the colors he chose. 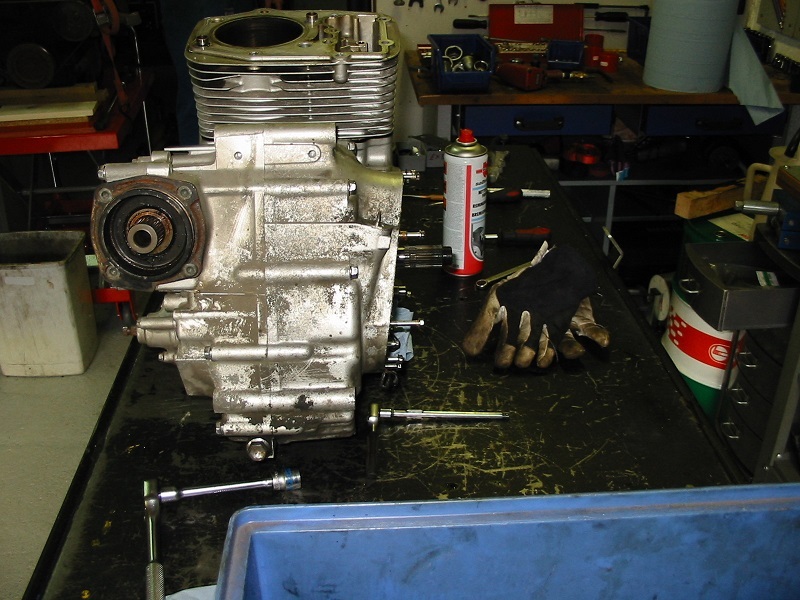 We got the parts ready for sandblasting. 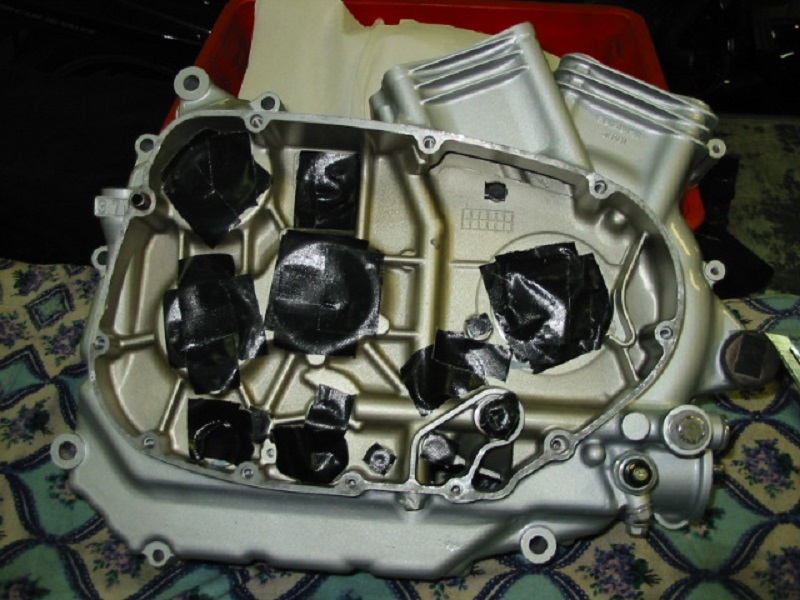 The inside has to be sealed off completely, and cleaned thoroughly afterwards. 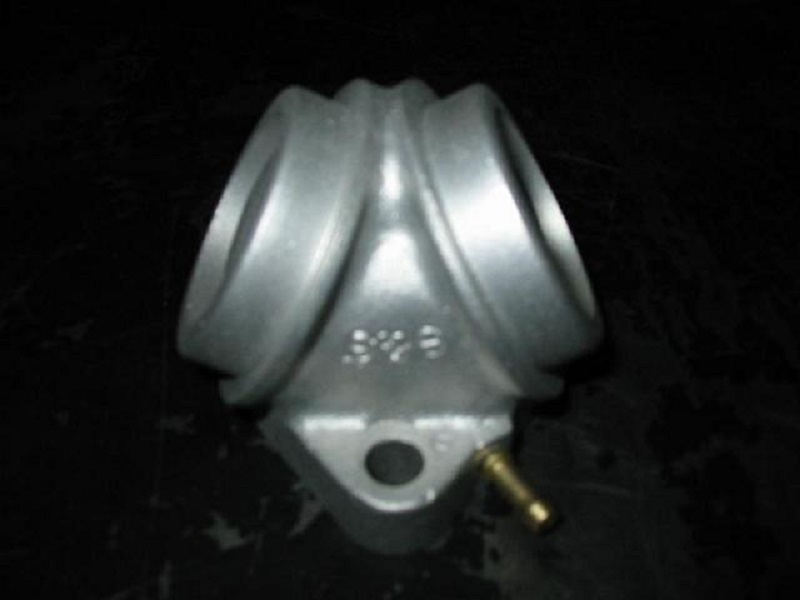 We have a firm who does all of our spray painting for us. 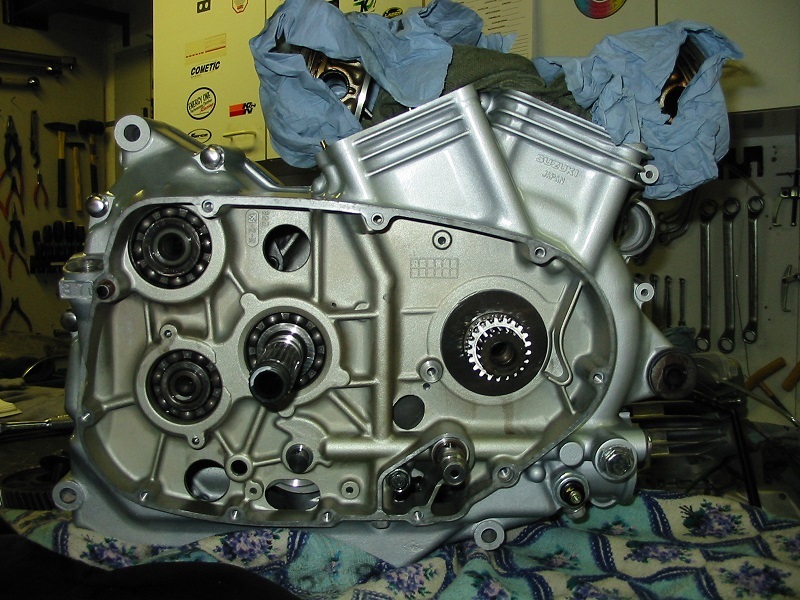 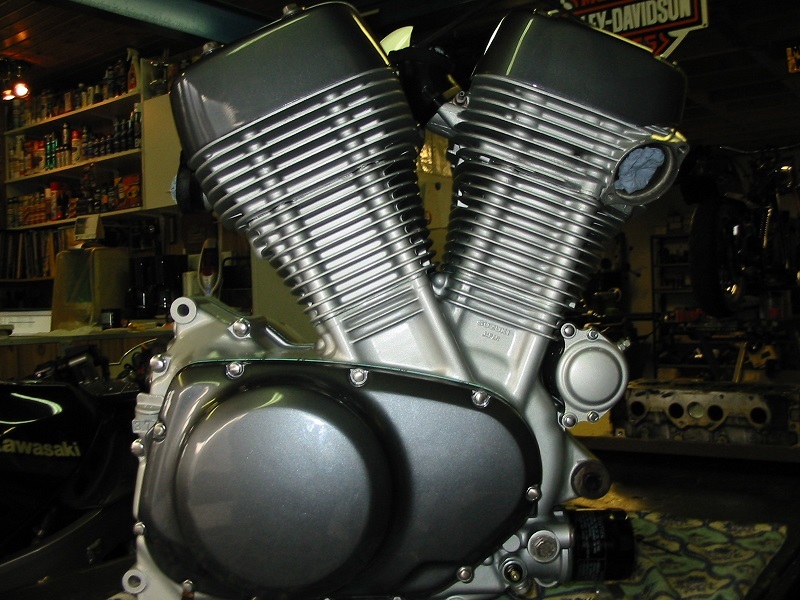 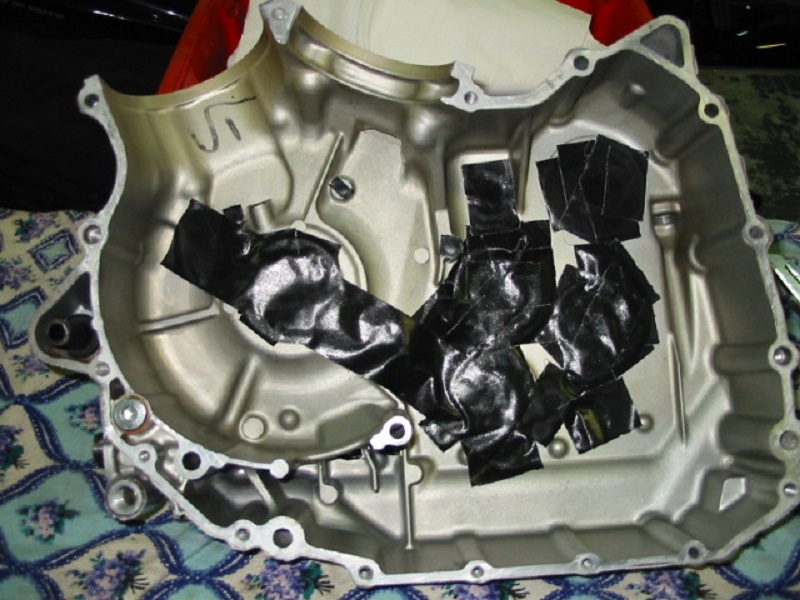 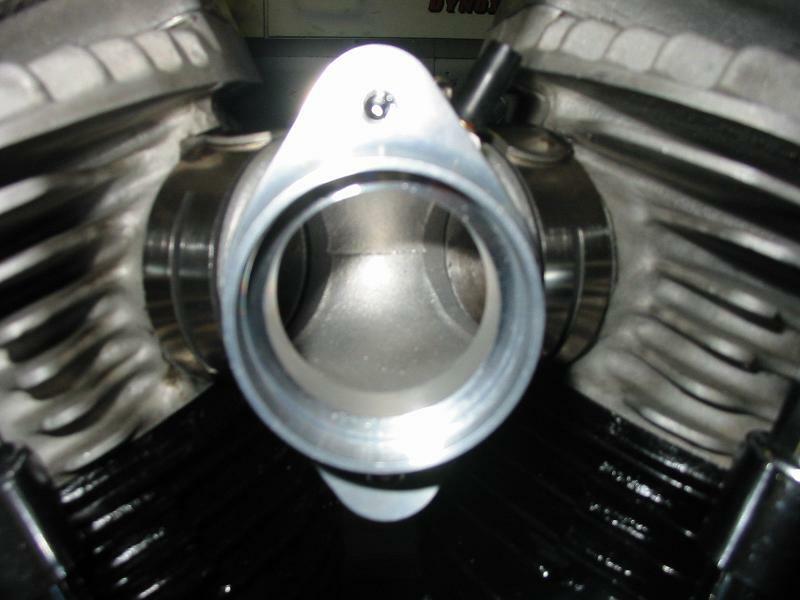 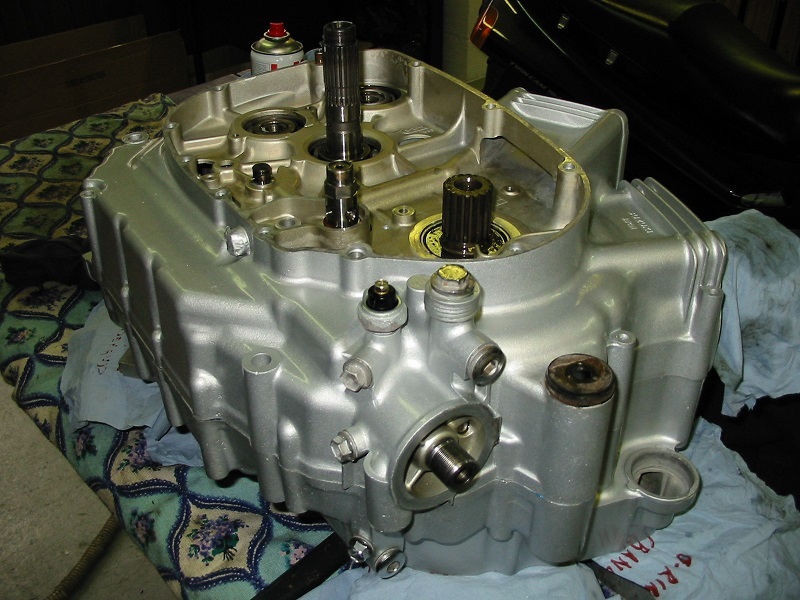 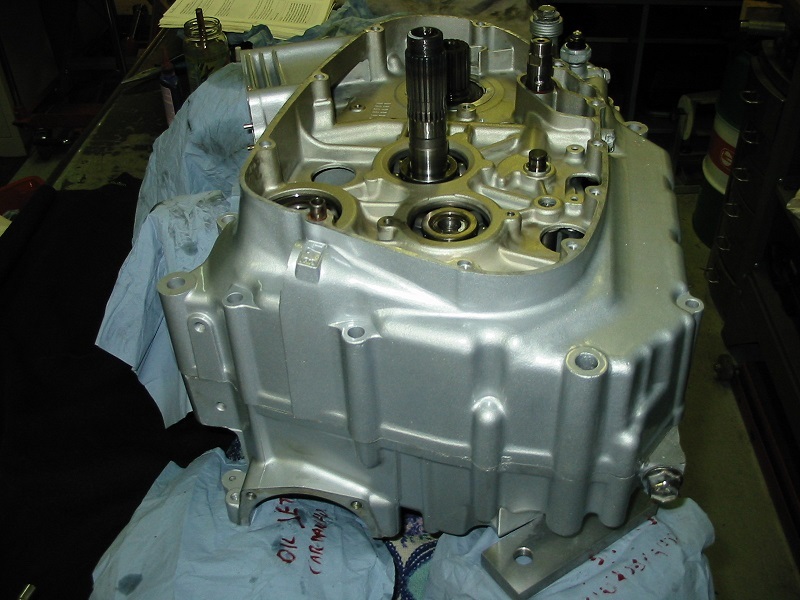 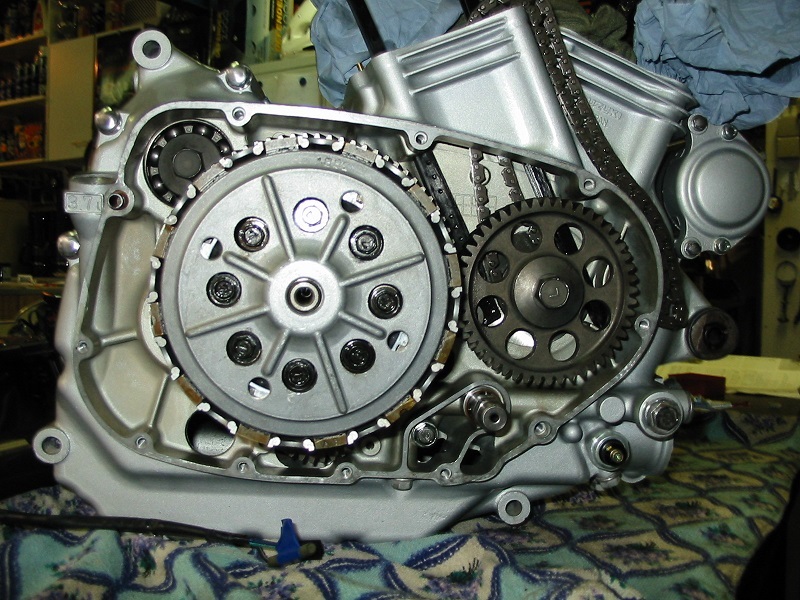 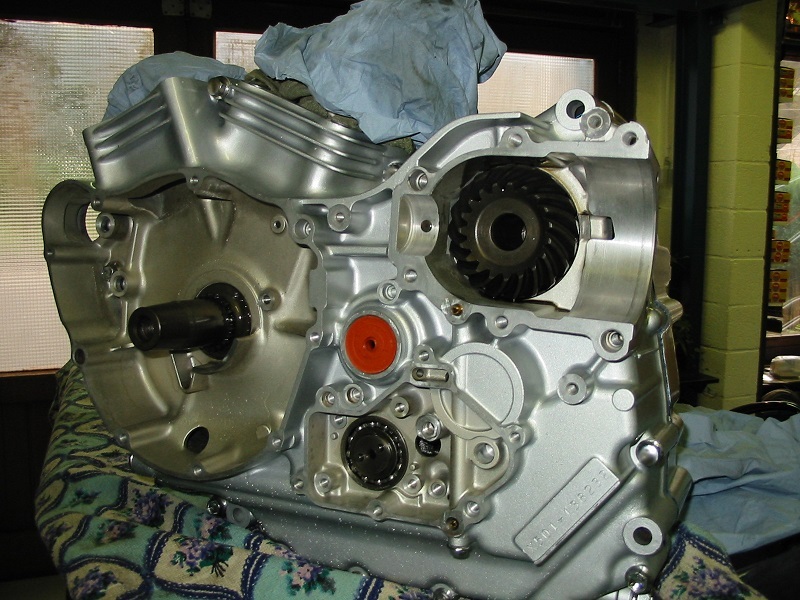 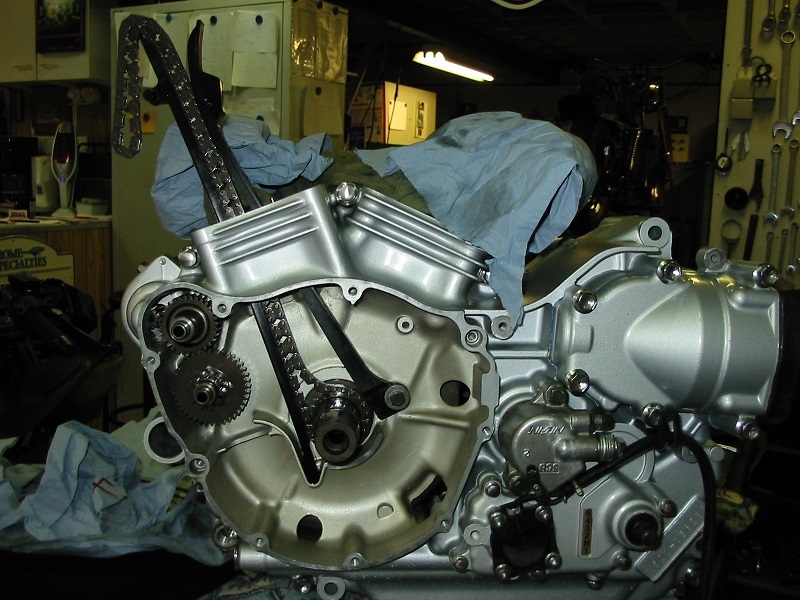 Once all of the parts were sprayed, we reassembled the engine with new gaskets and seals, and here you see the results.